Periodontal (gum) disease affects many adults in Canada. The way you care for your teeth and gums every day determines whether your gum disease can be controled or gets worse. The mouth is full of bacteria that constantly form plaque on teeth. Brushing and flossing regularly help get rid of plaque. 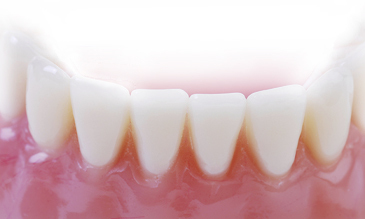 When plaque is not removed regularly, it can harden and form tartar that cannot be cleaned by brushing alone. Only a professional dental cleaning by a dentist or hygienist can remove tartar. The longer tartar is left on teeth, the more harmful it becomes. Gingivitis is the gingiva (gums) that become infected from tartar buildup on the teeth and gums. When gingivitis is not treated, it can advance to serious inflammation around the tooth. The gums pull away from the teeth and form spaces or pockets that become infected. As the plaque spreads and grows below the gum line, the body's immune system starts to fight back.